The Afghan government has extended weeklong Eid ceasefire to another 10 days to be an answer to people demand and become a context for beginning of peace talks to put an end to war and violence in the country, a war and violence that have never been the desire of Afghans nor adaptable with lofty national interests of Afghan people. This war is never related to Afghans nor the Afghans play role in its out-breaking and continuation neither benefits us. According to reaction of different strata of Afghan society during Eid days and their unprecedented welcome of ceasefire and their resolute emphasize on immediate beginning of peace talks, indicate that Pan Afghan people strongly and decisively support peace and security and concluding of war and violence as soon as possible and Afghans have unshakable consensus on end of conflicts and implementation of reliable peace. In a consultative meeting which was recently held in the Presidential Palace with the participation of president Ghani and a collective of political leaders and Jihadi dignitaries to assess and evaluate current situations of the country particularly ceasefire and peace talks with Taliban, all the participants unanimously supported extension of ceasefire and peace process and submitted their suggestions on effective and better management of the situation during ceasefire, to the government. The participants asked the Taliban to start peace talks as quick as possible for the sake of Afghans welfare and prosperity. 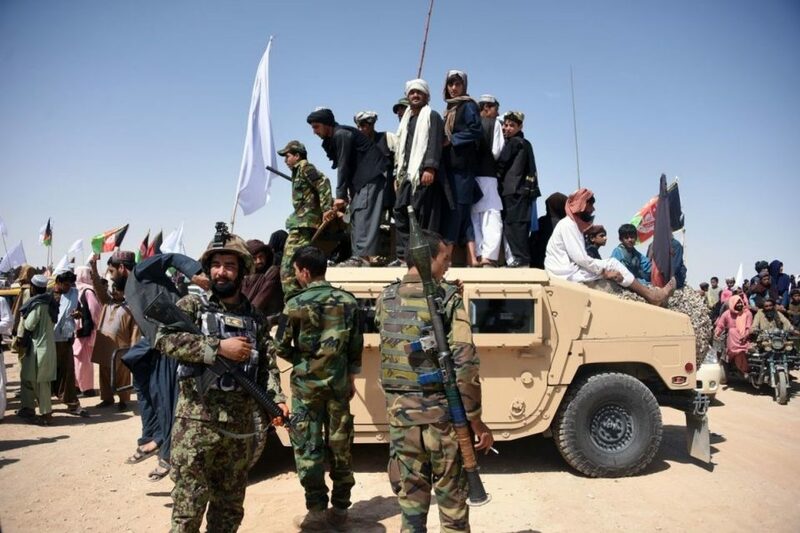 The Taliban issued a statement, refused to accept extension of ceasefire and ordered their armedmen to resume their assaults on ANSF positions throughout the country. According to available reports, in the last two days, our peace loving people have been witnessing certain activities of Taliban in some parts of the country that produced damages and casualties too. In the opinion of security analysts, two reasons are behind hasty disagreement of Taliban with extension of ceasefire and resuming of their attacks. First, the Taliban leaders fear of undermining of their armedmen and think that with increasing contacts of Taliban militants with the people living in the areas under the control of the government, they realize ground realities and false propagation of Taliban leaders and would see that the civilians and government employees including ANSDF officials are muslims and practically loyal to Islamic instructions and religious rites that would relax their incentive to fight against ANSDF and real face of Taliban leaders and their supporting circles would be divulged. Second, Taliban are completely depended to foreign countries specially Pakistan has been using them as an instrument of its game. Taliban lack independence, Pakistan holds peace and war decisions and instruct them what to do? The Afghan government is required to lobby to draw Taliban to peace negotiating table and increase regional and global pressures on Pakistan beside extension of ceasefire and ask the effective powers of the world community to double pressures on Pakistan and ask its leaders and rulers to act upon their promises on Afghan peace process.